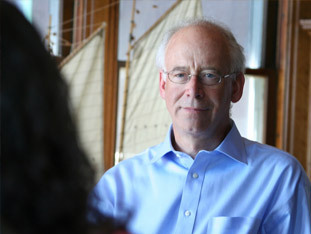 Alan November will be our keynote speaker to start our day and will also provide an additional 1 hour workshop. He will be speaking to us about the first five days of school and how to set the stage for our students. If you are interested in reading more about Alan November, check out the resources section below. November Learning believes there exists a significant opportunity in the First 5 Days of School to set the tone for powerful, engaging and self-directed learning. By empowering students to own their learning and by helping them to develop tools and networks for support throughout the school year, we better prepare them for the global economy. Alan November challenges you to consider the broad opportunities that await in the first five days of school, and he pays special attention to the importance of information literacy, student roles, global collaboration and more. Participants will learn the tools and techniques required to bring these opportunities to life. Who should be working harder during class? The teacher or the students? 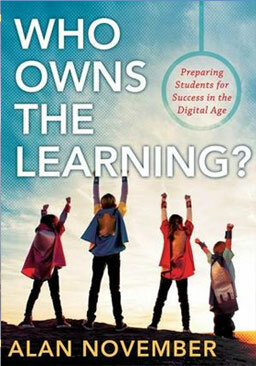 In the “Age of the Empowered Learner” we can equip our students to take responsibility to manage a large proportion of their learning. We can also empower our students to create content that contributes to the learning of their peers. Research indicates that one of the most powerful strategies to improve learning is to provide students with self assessment strategies.